Born into a family of musicians, Giacomo Agazzini, studied at the Turin Conservatoire , graduating in 1982 from the class of Massimo Marin. He furthered his studies with Corrado Romano,Salvatore Accardo Peiro Farulli, Milan Skampa and Gyorgy Kurtag. In 1988 he founded the “Quartetto d’archi di Torino” and for some 20 years, as the quartet’s leader, he performed in the most prestigious concert halls and seasons in Italy and throughout the world, making many recordings and radio broadcasts. With the Quartet he collaborated with such important figures as Aldo Ciccolini, Valentin Berlinsky, Enrico Dindo and Ezio Bosso. Agazzini has been much involved in contemporary music, and has given many first performances, including Sylvano Bussoti’s violin concerto for Radio France, the first string quartet by Fabio Vacchi and all of Ezio Bosso’s violin works, which he has recorded in a set of 6 CDs for iTunes. In his explorations of electronic music, Agazzini collaborate with Andrea Chenna, and with Claudio Lugo and Andrea Lanza has created the “Agalula” project of improvisations in trio, where he plays electric violin. 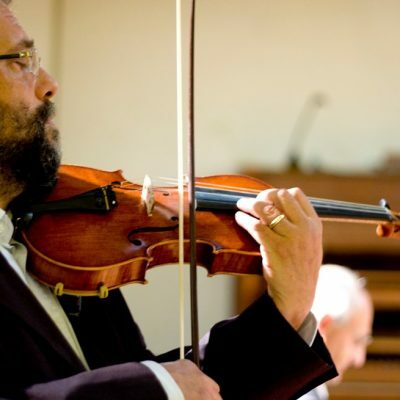 Agazzini is currently Professor of violin at the Verdi Conservatoire in Turin.